Under a court-ordered deadline, the U.S. Fish and Wildlife Service today proposed to protect the North American wolverine as a threatened species under the Endangered Species Act. In 2011 the nonprofit Center for Biological Diversity reached a settlement agreement requiring the Service to make protection decisions for 757 species, including the wolverine, which the court ordered must get a decision this fiscal year. Estimating that 250 to 300 wolverines remain in the lower 48 states, the Service says the species had rebounded after broad-scale predator trapping and poisoning programs led to its near extinction in the early 1900s. Now the threat to their survival is climate warming. The largest terrestrial member of the weasel family, the wolverine is dependent on areas in high mountains, near the tree-line, where conditions are cold year-round and snow cover persists well into the month of May. "Extensive climate modeling indicates that the wolverine's snowpack habitat will be greatly reduced and fragmented in the coming years due to climate warming, thereby threatening the species with extinction," the Service said Friday in a statement announcing the proposal. "The wolverine has a reputation for killing prey many times its size, but it's no match for global climate change, which is shrinking spring snowpack across the West," said Noah Greenwald, the Center's endangered species director, who describes the mammals as "fierce, solitary hunters." "Their dependence on persistent spring snowpack for denning makes them severely threatened by climate change," said Greenwald. Persistent, stable snow greater than five feet deep appears to be a requirement for natal denning, because it provides security for offspring and buffers cold winter temperatures, the Service says. Nevertheless, the Service does not consider activities "such as snowmobiling and backcountry skiing, and land management activities like timber harvesting and infrastructure development, to constitute significant threats to the wolverine." As a result, the Service is proposing a special rule under the Endangered Species Act that, even if the wolverine is listed as a threatened species these types of activities would be allowed to continue and would not be prohibited or regulated. However, intentional killing of wolverines would be prohibited. The Service is seeking input on whether or not it is appropriate to prohibit incidental take of wolverine in the course of legal trapping activities directed at other species, if states have programs in place to minimize the chances of this occurring. "This proposal would give us the flexibility to tailor the protections for the wolverine provided by the ESA to only those things that are necessary," said Noreen Walsh, director of the Service's Mountain-Prairie Region. 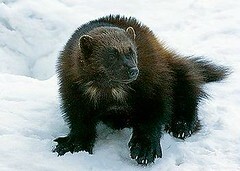 "Scientific evidence suggests that a warming climate will greatly reduce the wolverine's snowpack habitat," Walsh said. "We look forward to hearing from our state and local partners and members of the public and scientific community on these proposals as we work to ensure the continued recovery of the species." A 90-day comment period, beginning today, is being provided to allow the public and stakeholders an opportunity to comment on these proposals. During that time, the Service will seek peer review from qualified members of the scientific community to ensure that our final decision is based on solid science. The Service will make a final determination a year from now on whether to add the wolverine to the Federal List of Endangered and Threatened Wildlife based on the best available science. The Service will also decide whether or not it is prudent to designate critical habitat for the wolverine, and whether such a designation would be beneficial to this species given the threat to its habitat is climate change. The Service is simultaneously proposing a special rule under Section 10(j) of the ESA that would facilitate reintroduction of the species to its historical range in Colorado. The reintroduction effort, which is still under consideration, would be led by the Colorado Department of Parks and Wildlife. More than 90 percent of wolverine habitat in the Lower 48 states is located on federally-owned land; the rest is on state, private or tribally owned land. Currently, wolverines occur within the North Cascades Range in Washington and the Northern Rockies of Montana, Idaho, Wyoming and a small portion of Oregon. One individual male wolverine is known to inhabit the Sierra Nevada and one male wolverine resides in the southern Rocky Mountains. Both are recent migrants to these areas. Wolverines once existed also in the Sierra Nevada of California and the southern Rocky Mountains in the states of Colorado, Wyoming, and New Mexico.